The Dutch province of Friesland is one of the worst parts of northern Europe for the illegal slaughter of wild birds, according to a new inventory by bird protection group Bird Life International. The Netherlands is one of six hot spots singled out for specific criticism, alongside the likes of Azerbaijan, Armenia and Germany. The report estimates that between 400,000 and 2.1 million birds are killed illegally in northern Europe and the Caucasus every year. In the Netherlands, around 1,200 birds of prey are killed every year but it could be as many as 3,100, according to bird protection group Vogelbescherming. Buzzards are the main victims but the goshawk, marsh harrier and red kite are also being killed by both hunters and farmers, the organisation says. Song birds like the goldfinch and chaffinch are also killed and trapped in large numbers – some end up being sold – while mute swans and greylag geese are often illegally hunted. 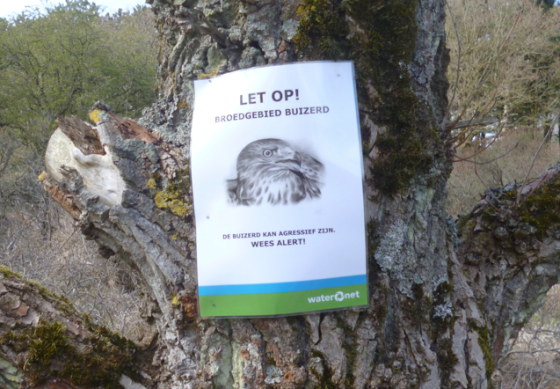 Friesland is the worst province but birds are also being killed in Zeeland and Noord-Brabant. Together the three provinces account for up to 90% of illegal bird deaths. Vogelbescherming describes the report’s findings as ‘shocking’. Killing birds may be illegal in the Netherlands but there is little control, and government cutbacks have further reduced checks in nature reserves, the organisation said.